I will tell you more about myself in my next mail with the intent of making you my guardians in all that legally applies in my life attached here are some of my pictures and i hope that you will appreciate my kind gesture and the straight forwardness in waiting to honestly meet with you, We can both arrange my coming to meet and stay with you in your country with proper understanding and feelings into one an-others heart, i shall borrow the word 'LOVE 'and request that you permit me to use it as i told you i don't have any parson to help me here in the camp even to eat food here is very big problem to me i hope by Gods grace i will be free someday, i don't have any relative now whom i can go to, i thank God who bring you in to my life i pray and also have the Faith that you will make me happy in life, i promise to love you with all my heart, Honey i will want you to know that you are my happiness now, The only person i have now is Rev Father Michael Joseph who is the General overseer of United Methodist Church Mission in Senegal, here in the camp, he has been very nice to me since i came here but i am not living with him rather i am leaving in the woman's hostel because the camp have two hostels one for men the other for women. 1. Can you honestly help me as your daughter or friend OR Your Sister or Wife? Please tell me if you are welling to help me in transferring this money to your account try and reply me very fast and also send me all your contact information for communication, because the bank is waiting to hear from you, please send me your information because i will bee sending email to the bank with your information, i will also send you the documents with me so that you will contact with the bank because the bank is waiting to hear from you. Remember i am giving you all this information due to the trust and love i deposed on you, Please, Consider this and get back to me as soon as possible, i want you to reply me urgent so that i will give you the contact of the bank where this money was deposited.I am looking forward to hear from you, please do not turn me down because you are the Gods sent that can help me out.Thank you so much. Contact them now on how to transfer the 5.7 Million USD deposited by my late father of which i am the next of kin. I have mapped out 30% for your assistance. Am glad that God has brought you to see me out from this situation and i promise to be kind and will equally need you in every area of my life including investing this money since i am still too young to manage it. Honey my prayers is to move out from here as soon as possible even to eat food and drink water here in the camp is very difficult for me. I have been directed by The Bank Chairman Wire Transfer to write you in respect of your Email we received here in our Bank. 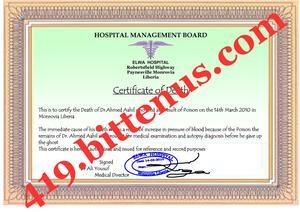 Be informed that the total sum of Five Million Seven Hundred Thousand United States Dollars ( US$ 5.700.000.00) with is account Number 343I08701364-QB) belongs to late Dr. Ahmed Aahil and his next of Kin Miss Abi Ahmed with this Banking Institution. You are cordially informed that the management of Banque Africaine De Développement has been notified by Miss Abi Ahmed requesting stating your personal interest to secure and invest the funds which has been deposited with this Bank Account number 343I08701364-QB). You have been really appointed as a trustee to represent the next of Kin. However before our bank will transact any business concerning the transfer of the fund to your bank, we will like you to send the followings Documents immediately to our bank. 1. A power of attorney permitting you to claim and transfer the funds to your bank account on her behalf. 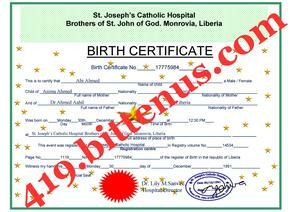 Note: a Senegalese resident lawyer must endorse this Power of attorney since the money is originated from Africa. 2. An Affidavit of support from Senegalese high court . Note: The above are compulsory and are needed to protect our interest, yours and the next of kin after the transfer has been made. This Power of Attorney is legal instrument authorizing you to act as the grantor's agent of Miss Abi Ahmed, A person can instruct another to represent him/her by giving a Power of Attorney in civil law systems is an authorization to act on someone Else's behalf in a legal or business matter, As soon as the above legal document is been received here in our bank we will transfer this money to your account within 48 banking Hours. 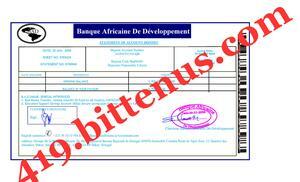 The management of Banque Africaine De Développement will appreciative your very good effort by making sure that all the listed documents above are made available. We thank you once again and wait for your prompt action. Hello My Dear. How are you today? i hope you are fine, Honey thanks for all your love and Efforts to help me out of my situation and to help transfer the money to your position pending my arrival to meet with you, it shows you are a dependable and trustworthy man. Now, regarding the requests documents the bank needs from us since they need the power of attorney and the affidavit of oath from the high court here in Dakar Senegal. I have plead the Reverend about it before he agree to help me and get the contact of this lawyer, Honey this lawyer is a registered lawyer in the United Nations Camp here and he is also a registered member in (Senegalese Barr Association) The Rev told me that this man is good lawyer who will help in preparing the documents for us. Prior to your underwriting to my Legal Law Chambers, However i wish to inform you that this chamber has accepted to offer you the required legal services having confirmed the true existence and legitimacy of the aforementioned sum with the Banque Africaine De Développement, i have made an inquiry from the Federal High Court of Senegal on your behalf since you have requested my total assistance to help secure and legalized Power of an Attorney and Affidavit of Oath from the Federal High Court of Senegal on your behalf which will enable your legal representation as a legitimate legal beneficiary to the property owner. 2. Your Private Telephone Number. I am Rev. Father bright James. Actually i was told by Sister (linda) about your effort to assist her in transferring her late father's Estate to your bank account before she finally succeeded in transferring the money to her new partner Mr. Benedict Henchard in Kanye where she is now spending her life over there with him. She really told me about all your relentless efforts to assist her transfer her late father's estate to your position although it failed. Based on that she recognised all your efforts by dropping a cheque for you as a compensation for your previous efforts to change her situation when she was in dakar senegal. Therefore what you have to do now is to send to me your information which i am going to use to send the cheque to you after confirming the cost of sending it to you through D.H.L courier service. Do not forget to call me on phone when you mail me with the important information to me. ST.THEOPILOUS ROMAN CATHOLIC ARCHDIOCESES SENEGAL. Thanks & God bless you. This is to inform you that i am in receipt of your information which requested from you for the delivery of the check..As regards to the sending of your check which is still here in my custody, i have verified the cost of sending it through D.H.L Courier service and the concerned office said that it will cost only the sum of 450 Euro to deliver it to you from here.